Termites cause more damage than all fires, storms, tornadoes, earthquakes and hurricanes combined! Yet it is the most preventable of all of those disasters. 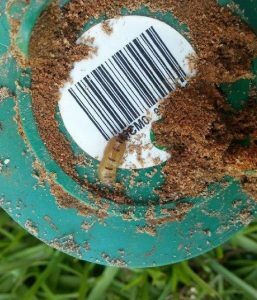 Living in the Gulf Coast means that your home or business is on the termite hit list, it will be only a matter of time before they strike! Gillen Pest Control can control Subterranean termites with either the Sentricon Baiting System or a liquid Termidor treatment. Swarming termites are often confused with ants but can be distinguished by two simple characters. Termites lack the “pinched” waist of ants. 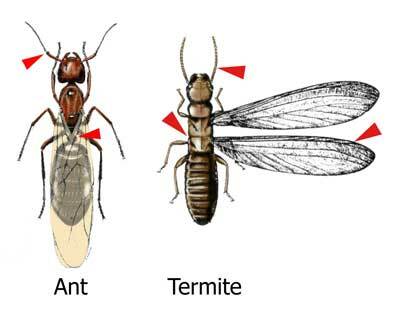 Also, termite wings are equal in length, compared to ants that have distinctly longer front wings. Adult reproductive termites are dark-brown to blackish insects, about 3/8 inch-long. Commonly referred to as “swarmers”, the job of reproductive termites is to mate and start new colonies. Termite swarmers may or may not have wings, as their wings often are shed shortly after flight. 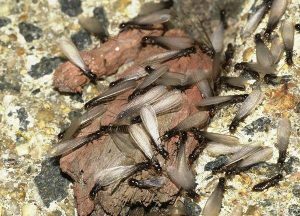 Although termite swarmers can, occasionally, enter homes through open doors or windows, finding termite swarmers indoors is a reliable signal of infestation. 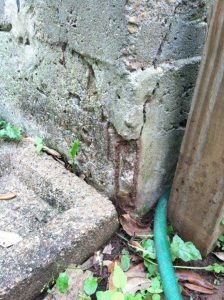 Termite swarms can occur throughout the year, but are most commonly seen between the months of February and May in Texas.